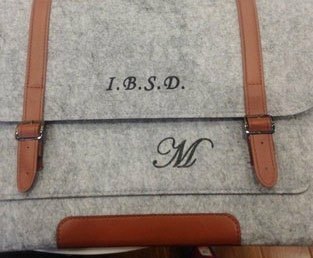 Lettering on a pencil case You can't choose the color of the letter, only the color of the lettering itself, we can't control the color of the letters, I hope you can understand. Please see Figure 1, Figure 2 and Figure 3. If you decide to order this service and ask us to write for you, please prepare and provide the following 2 pictures we requested: 1. After you order this order, please provide a photo with the information provided in the picture, such as your name or the word or message you want to engrave, and show in the picture what you want to use. Font. Note: Please use white as the background, please see Figure 4. 2. Then, please let us know where you want to engrave, see Figure 5. thank you for your help!